According to a report published in the Journal of Commerce, the heads of the two largest U.S. ports said it is time for President Obama to pressure the International Longshore and Warehouse Union (ILWU) and the Pacific Maritime Association (PMA) to end the contract impasse that is crippling West Coast ports and threatening the nation’s economy. 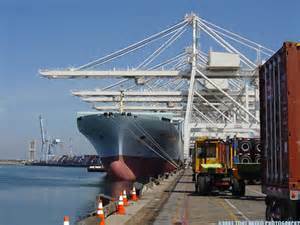 The ILWU and PMA would both have to request a federal mediator to get the process going, but the president could pressure them to seek one. The ILWU is working, but very slowly. The Marine Exchange of Southern California issues daily reports showing container ships at anchor in Los Angeles-Long Beach range from four or five to more than 10, depending upon the day of the week. Additionally, the PMA said that beginning in late October, workers in Seattle and Tacoma reduced crane productivity from about 28 container moves per crane per hour to less than 20. The Port of Tacoma confirmed this week that some container vessels in international services must sit at anchor for 12 to 15 days before proceeding to berth because of the work slowdowns. The ABPA encourages members to call on their legislators to reach out to the ILWU and PMA to insist that they immediately restore the ports to full operation while they continue negotiations, and to request that the administration use whatever means at its disposal to resolve the contract negotiations.